Catch Andy play at one of his upcoming shows listed below. 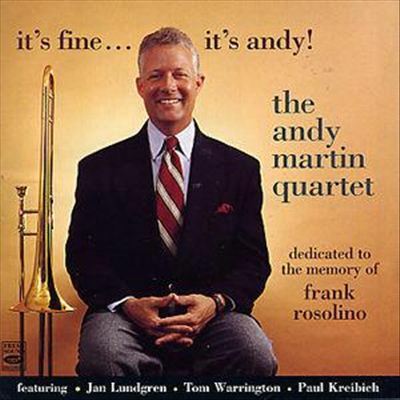 With 12 albums as a leader/co-leader, 300+ albums as a sideman, and heard on over 150 major motion picture soundtracks, Andy Martin continues to be the paramount trombonist in Los Angeles today. World class musician, world class educator. Between teaching students obtaining music degrees from the USC Thornton School of Music and private students of all ages from his own studio, Andy offers personal insight into his technical mastery of the trombone, a behind-the-scenes perspective of the entertainment industry, improvisation, recording techniques, and much more.